Bathroom furniture is often used as a place to recover from a long day of work and study. 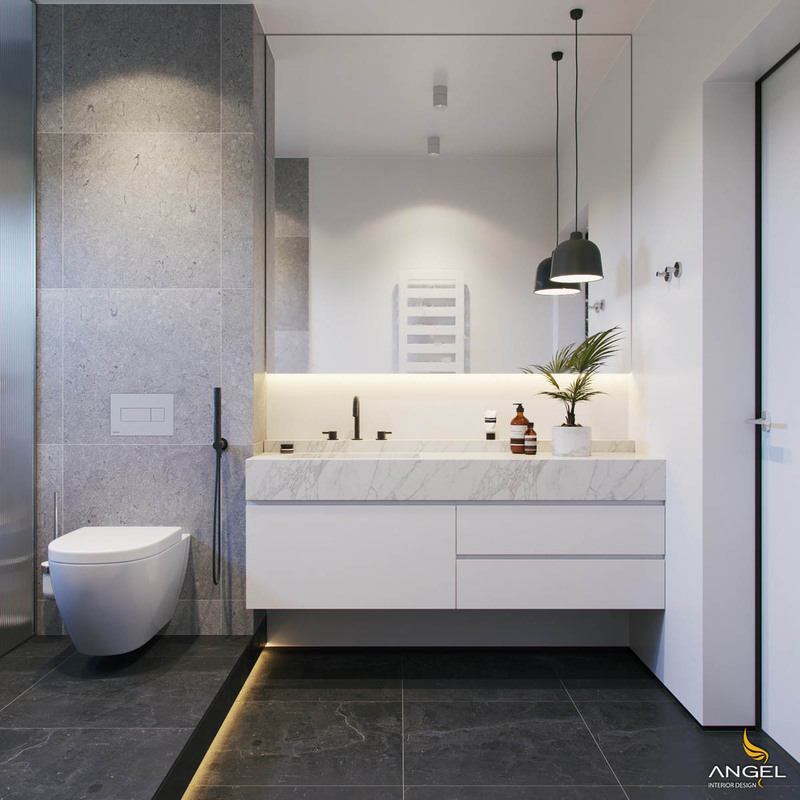 For the relaxation to be maximized, Angel interior always on the innovative interior design for the bathroom as possible. 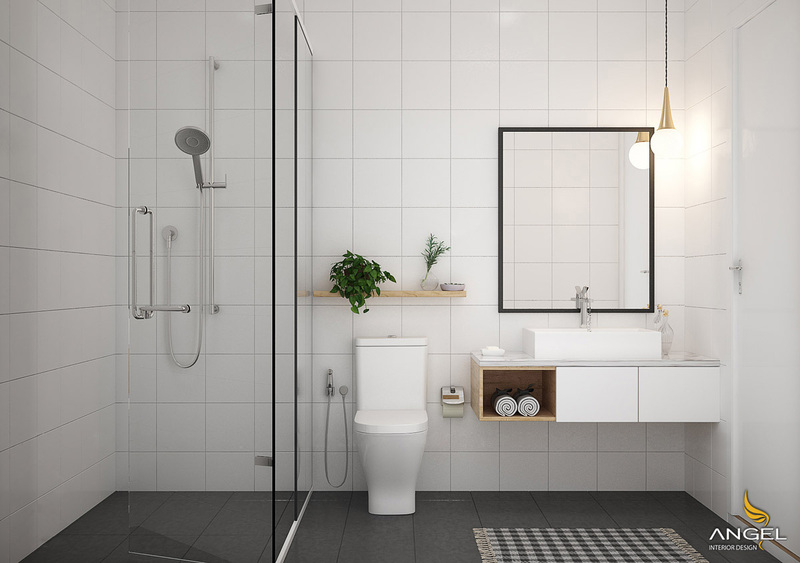 The yellow faucet adds a luxurious look and increases the cost a little bit for a lightweight basic white and lightweight bathroom deployment plan. The two marble tables with the surrounding walls will be a great union. 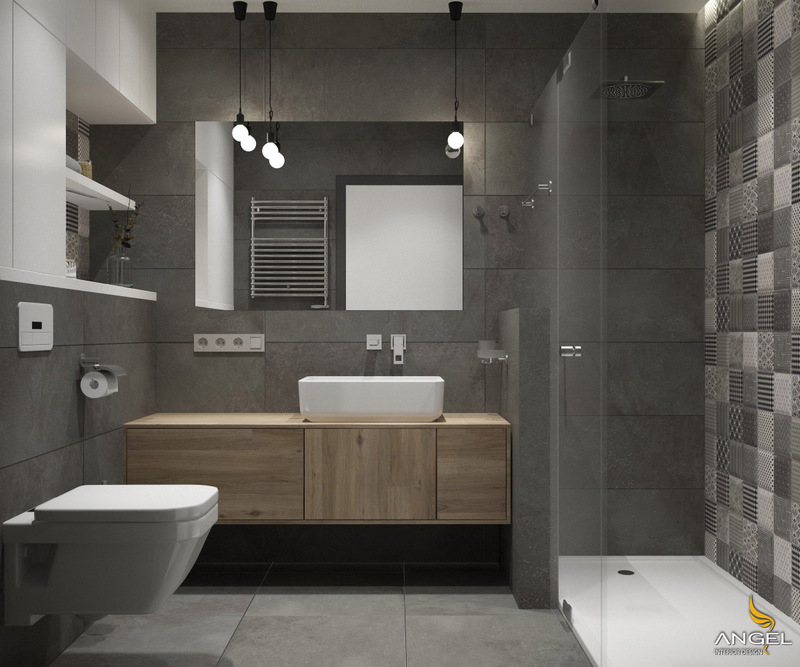 This gray and white main bathroom uses darker floor tiles to lighten the walls of the light. Brick slabs are made of LEDs at the floor level as a sign of danger whenever they step up or down the level. 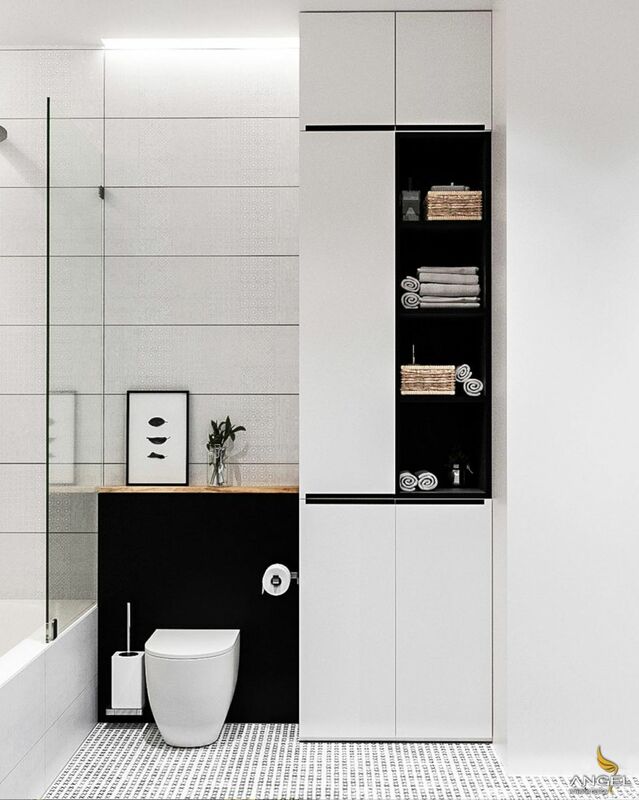 Contrast is the key in this black and white and gray bathroom. 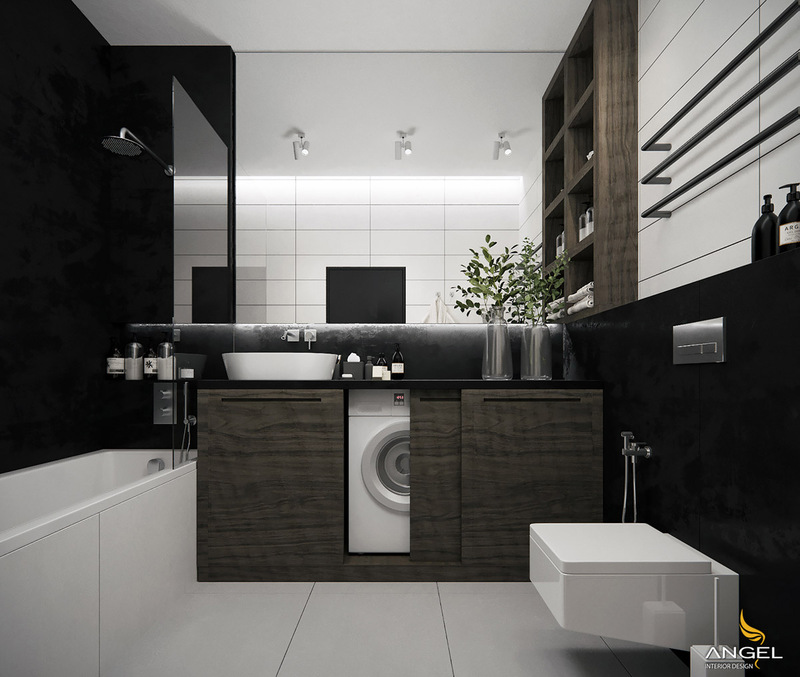 A black tank wall returns to a modern white toilet, and a black shelf contains a row of gray towels and natural woven baskets. 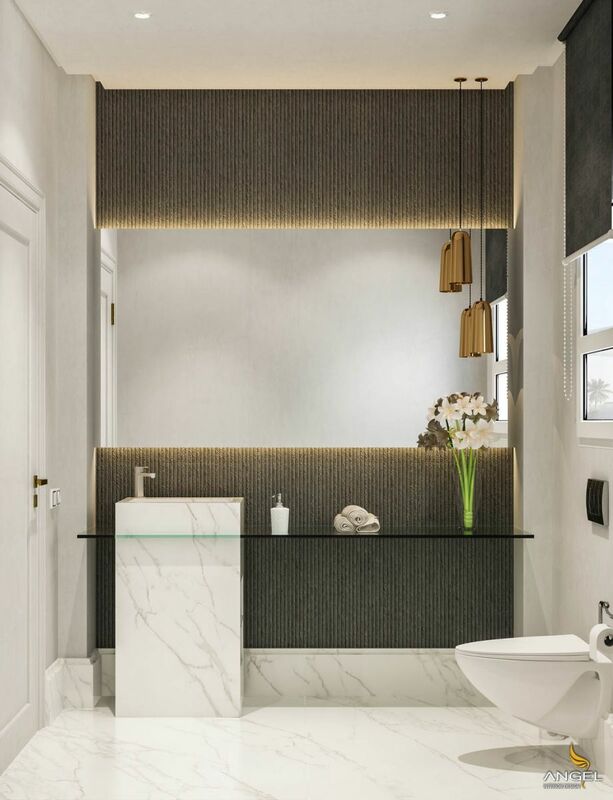 Modern bathroom vanity covers the entire width of this room. Open bathroom drawer contains a set of bathroom accessories in black, gray and white. A basket of rubbish of the same color next to the wall pressing black. The rustic wood tone décor adds a unique sense of uniqueness to the bathroom which also incorporates a laundry area in the bathroom. 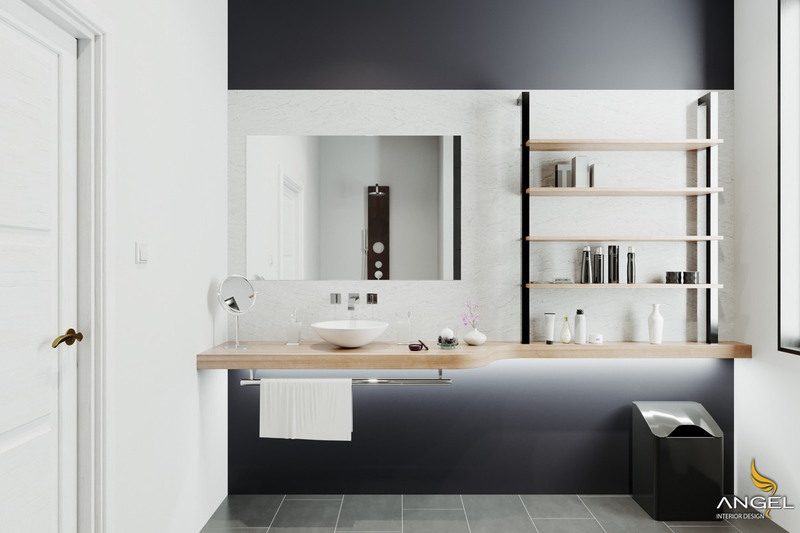 A warm wooden shelves stand out in the bathroom. Besides, the background is a dark background as a shirt beat the sink up beautifully. 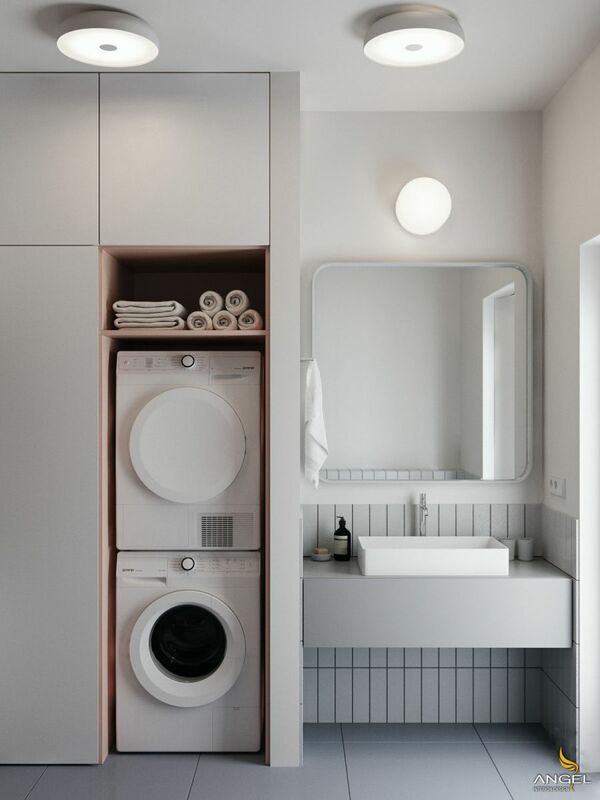 In contrast to the rest of the white and gray bathroom decor, the laundry area is lined with wooden panels and wooden shelves. A light-textured feature wall surrounds the large mirror. 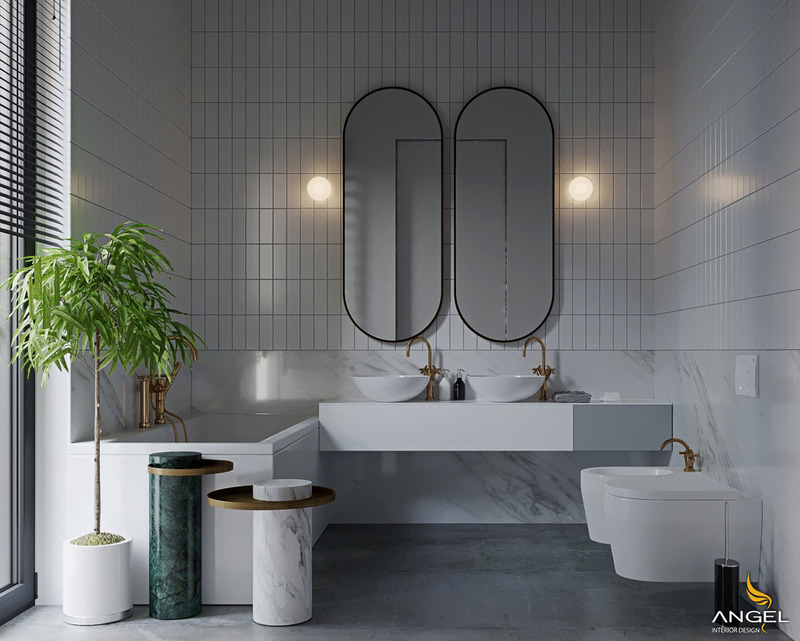 The idea of ​​white and sharp gray bathrooms perfectly translates into minimalist bathrooms. This adds just a few wooden accents for good measure, complemented by a simple gold-hanging light. 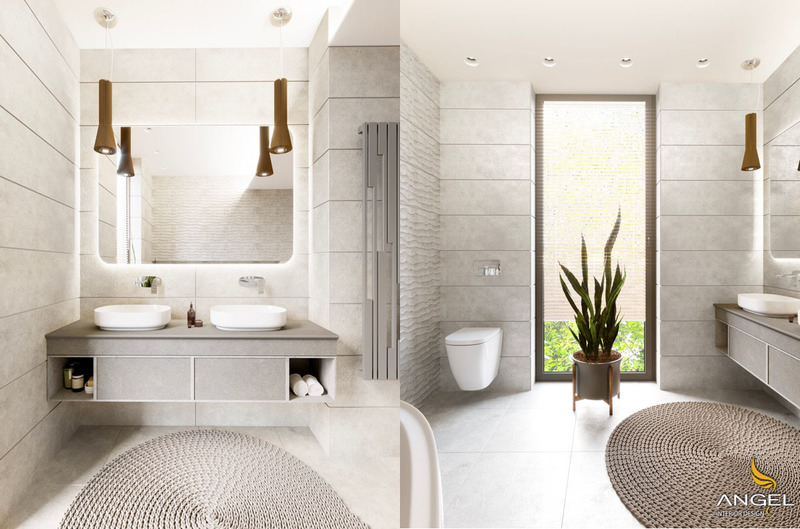 The gray and white bathroom rugs are a great way to introduce texture to a sleek bathroom.